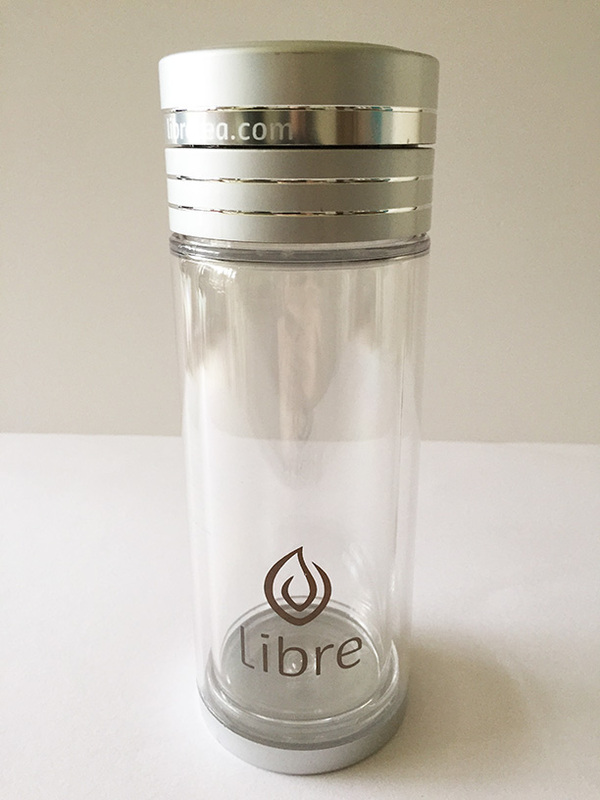 A while ago I purchased a Libre loose leaf tea glass and have been living with it by my side for the last few weeks. 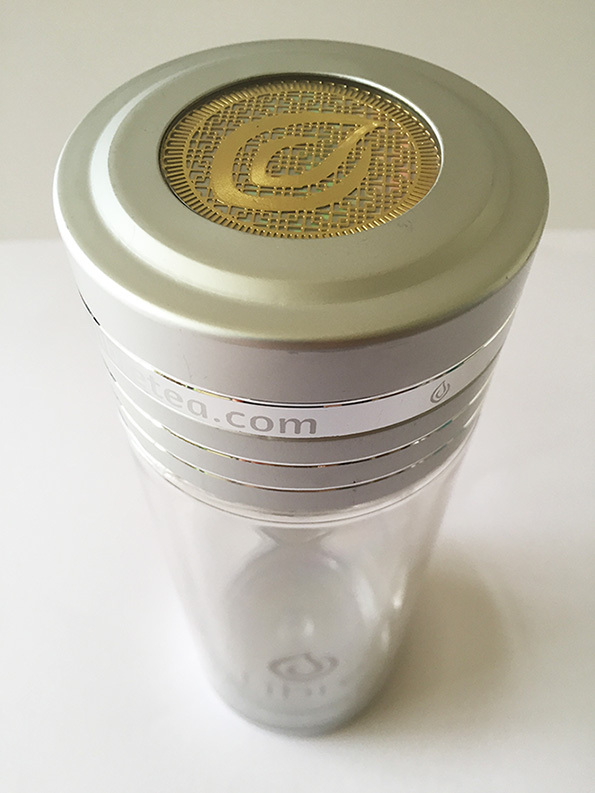 Read on to find out what I think, is this the best tea glass with built in infuser? It feels great! 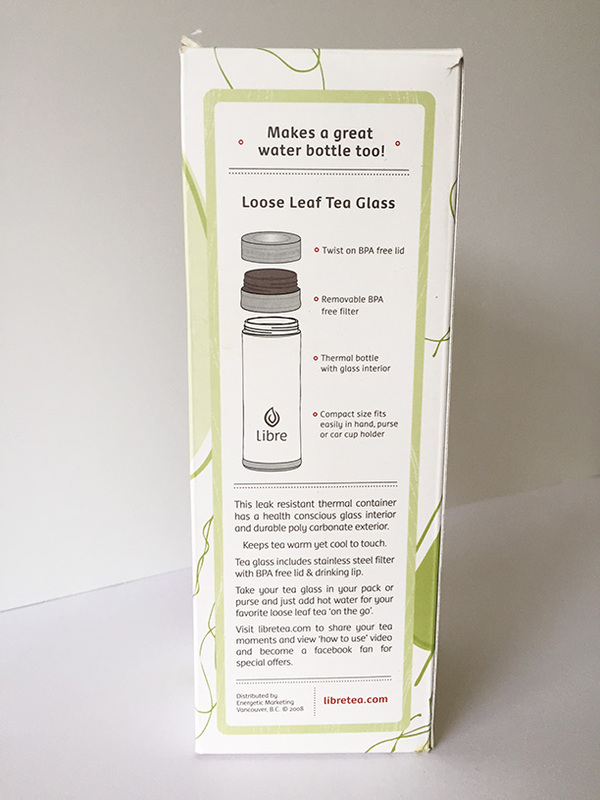 What makes this different to other tea flasks I’ve tried is it features a durable poly carbonate exterior but a glass interior. 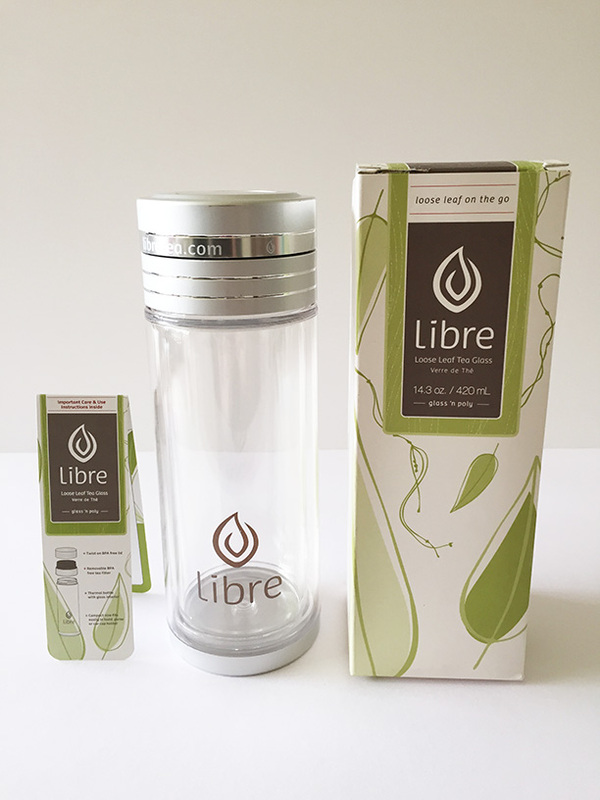 The lid and infuser are also BPA free so the flask really is almost as good as an all glass flask. 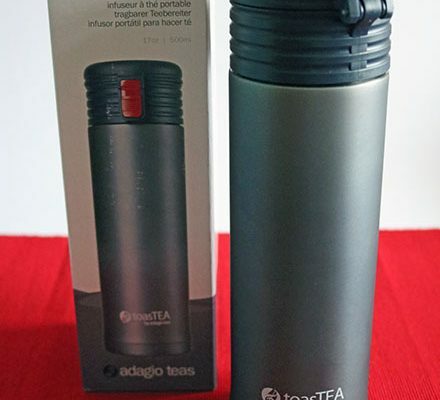 The massive benefit this tea flask has over a flask with an all glass construction is it’s durability, it just doesn’t feel as vulnerable in day to day life as an all glass flask. 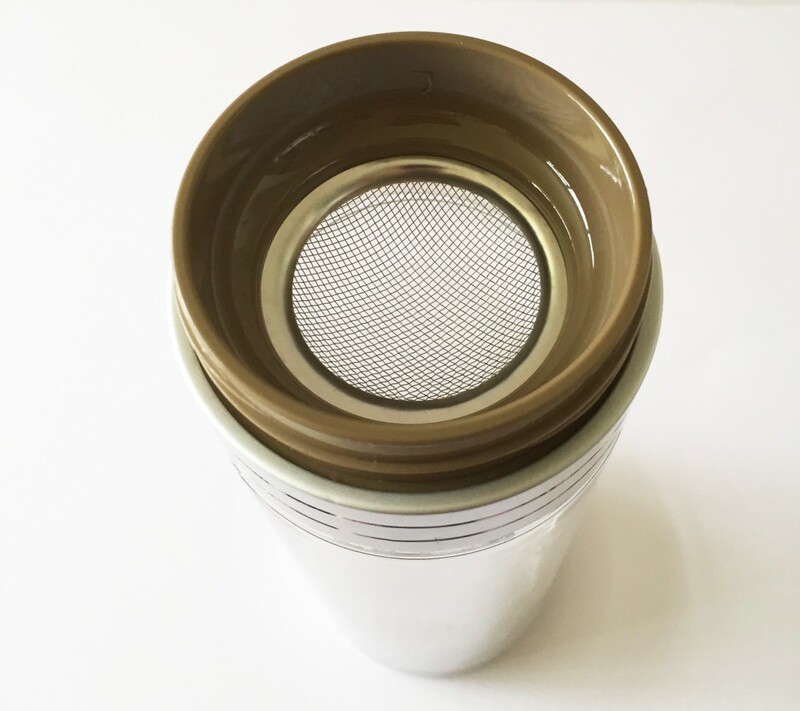 All round the quality is good, the lid and infuser both screw on firmly and haven’t leaked in the time I’ve had with it. 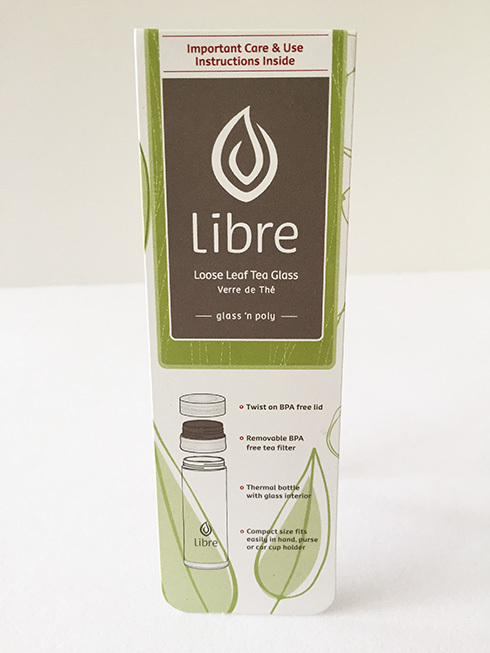 I’ve really enjoyed using the Libre loose leaf tea glass, it’s so easy to use, remains cool to touch and keeps my tea warm for ages! 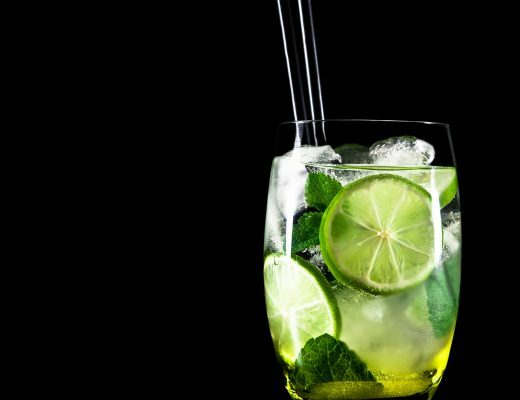 The built in infuser is good quality but a few smaller bits do make it through as it’s not very fine, not a deal breaker though. 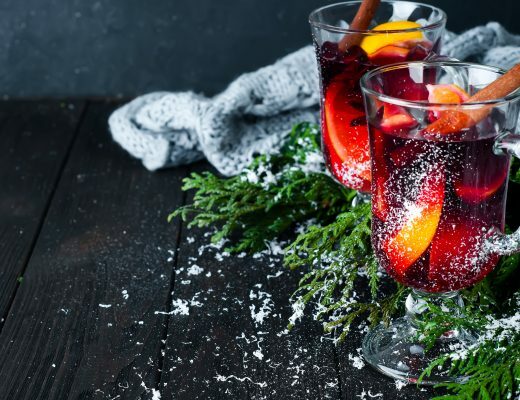 One of the greatest advantages of it is you have a choice of how you want to brew your tea! 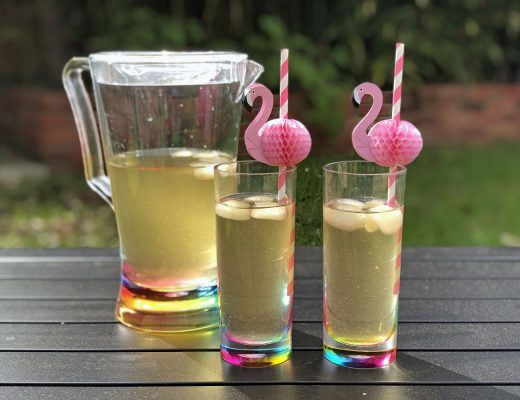 You can use it like most other tea infusing glasses/flasks, by unscrewing the lid and the infuser, adding the tea, screwing the infuser back on and adding the water, easier but can result in tea that’s too strong. 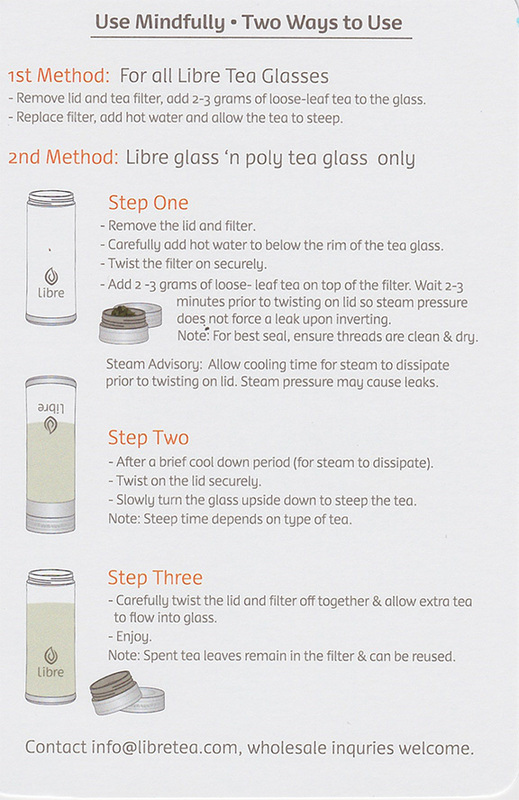 Alternatively you can take off the lid and add the tea on top of the infuser, screw the lid back on, then unscrew the lid and infuser, add water, screw the lid and infuser back on and turn the flask upside down until the tea is your desired strength (see the image below, writing makes it sound over complicated!). 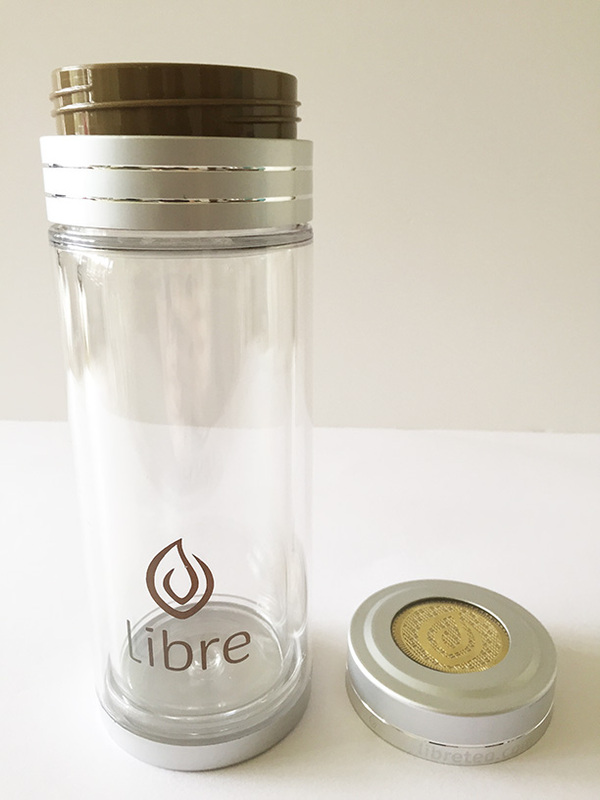 Finally you flip it the correct way up, unscrew the lid and infuser and you have the tea your desired strength. I decided myself that I would just use it like all my other flasks and add the tea directly in to the chamber, rather than the flipping upside down method. 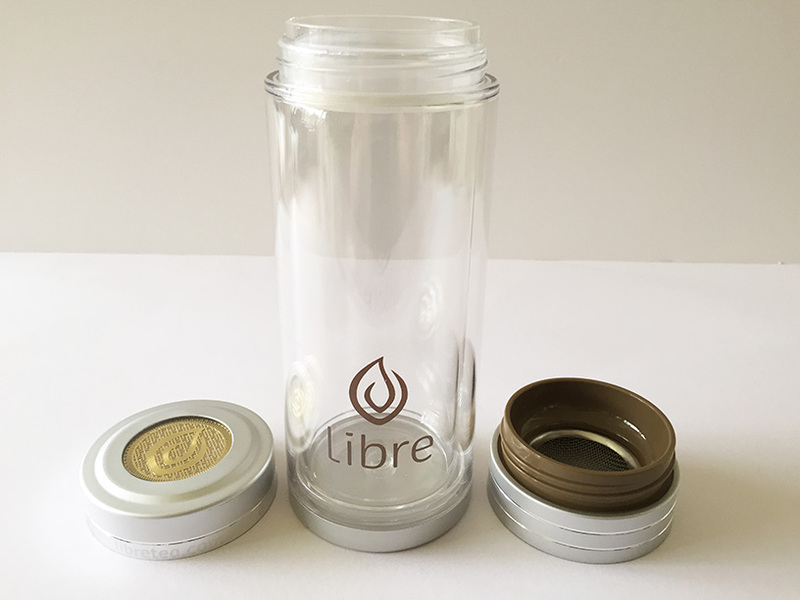 You can get both sizes of the Libre tea glass on Amazon, the smaller size is available here . The larger size which I reviewed is available here . Since I reviewed this glass a mug version has also become available which is much the same as above but with a handle, you’ll find that here . 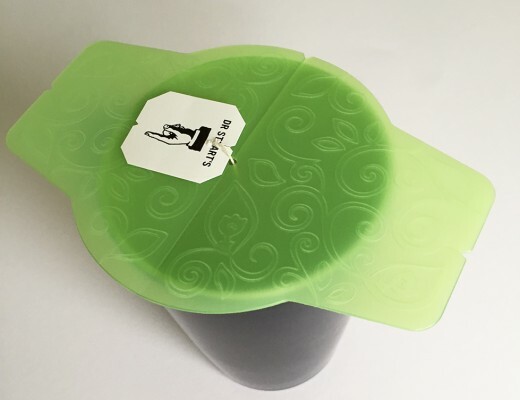 Sick of Your Teabag String Falling In Your Tea? Here’s The Solution! 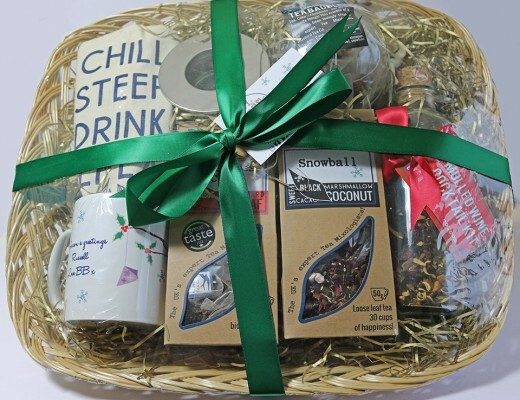 Bluebird Tea Co. Christmas Hamper Review, The Best Gift Ever!